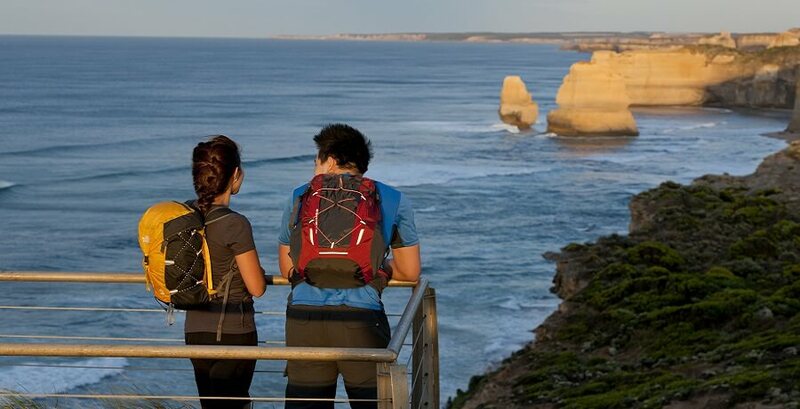 A Great Ocean Road Tour is a must for your Melbourne itinerary during the summer months, and there is not much that beats a spectacular sunset over the magical 12 Apostles on this 1 Day Great Ocean Road Sunset Tour. Leaving Melbourne we travel west through Victoria’s second largest city Geelong, before heading south through the coastal town of Torquay. 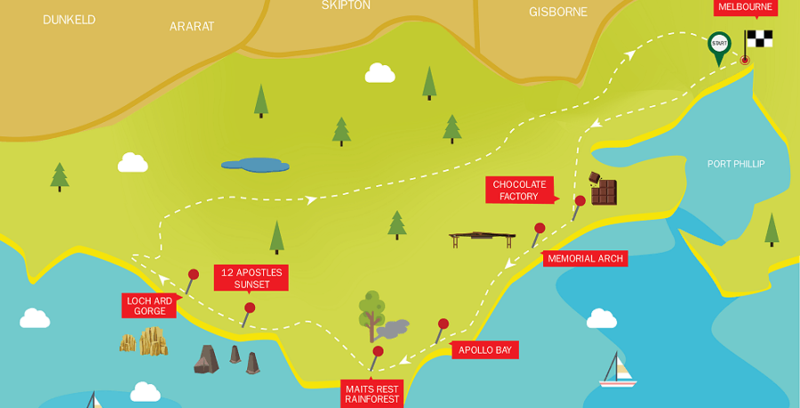 Our first stop will be at the Great Ocean Road’s newest attraction, The Great Ocean Road Chocolaterie for some sweet tastings. After we are refueled, we will make our way to the Memorial Arch to take some photos at this historic archway, followed by a beach walk where you can sink your feet into the sands of one of the many beaches along this magnificent coastline. We pass through the scenic coastal towns of Lorne and Anglesea, which are the homes of spectacular beaches and great views. 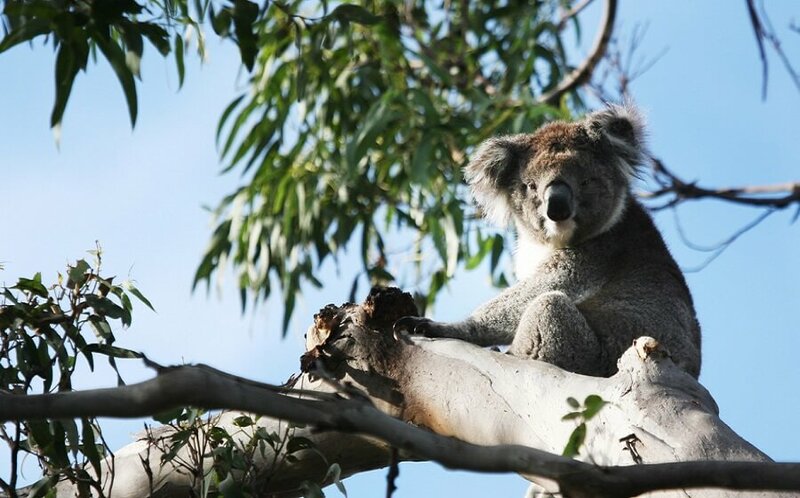 Next up on the Great Ocean Road Sunset Express we stop for a bush walk and you can spot some native Australian Wildlife, including koalas and a variety of Australian birds. 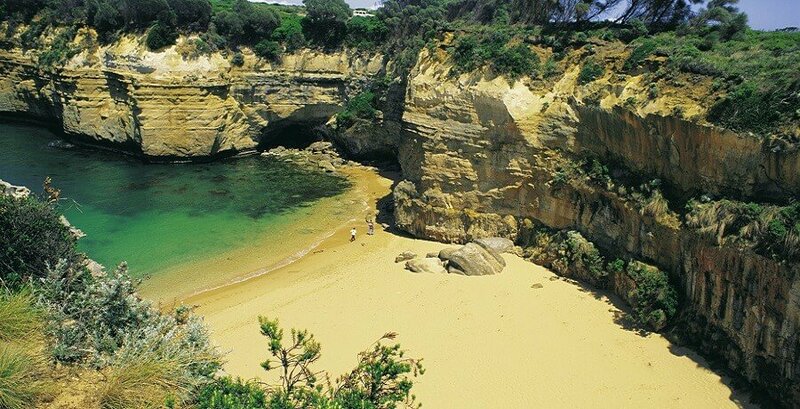 Then we’ll visit Apollo Bay, a popular holiday destination for many Australians. Here you will have a chance to grab lunch (at own expense) or take a stroll along the beach, and even grab a delicious ice cream. Pass through the Otway Rainforest and feel dwarfed by some of the tallest Eucalyptus Trees in the Australia. 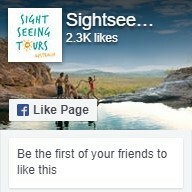 Spend some time along coastline, hearing the tragic tails of the Shipwreck Coast and Loch Ard Gorge. 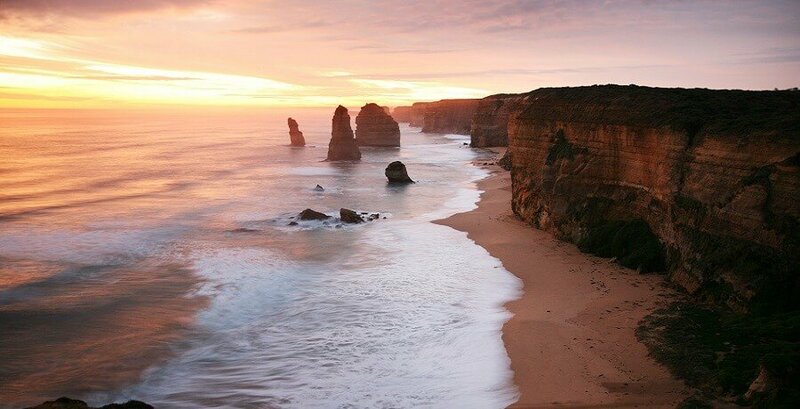 And not forgetting the highlight of any Great Ocean Road Tour, we arrive at the world famous 12 Apostles to enjoy a spectacular sunset. These breathtaking uniquely formed limestone stacks are a wonder to be seen. 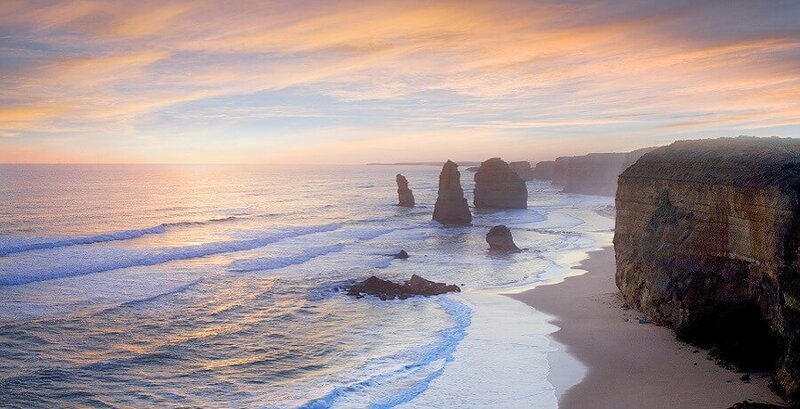 This Great Ocean Road Sunset Tour is one of Melbourne’s best tours and with chocolate tastings included its excellent value – you will not be disappointed.